2BR/2B Condo at Waterside Village in Mexico Beach Florida. 2BR/2B Condo being offered as a Short Sale and priced at $164,900. Open living atmosphere and kitchen features Cherry Wood Cabinets, granite countertops with stainless appliances. Two bathrooms both having cherry wood vanities and plenty of closets. A Laundry with washer and dryer off the kitchen area. Balcony Access from Living Room and Master Bedroom. With 1019 SF living area and balcony this 2BR/2B Condo overlooks the Canal at Waterside Village in Mexico Beach Florida. Southwest Airlines will be coming in May 2010 to the new Northwest Florida Beaches International Airport (ECP) at Panama City Florida. Southwest Airlines will be offering daily flights to/from Nashville TN, Houston TX, Baltimore/DC and Orlando FL. This 2BR/2B Condo has never been occupied and is being sold unfurnished. Association Dues $1,186 Quarterly (Accounting, Cable TV, Ground Keeping, Exterior Insurance, Management, Outdoor Lights, Pest Control, Recreational Facilities, Sewer, Water, Trash Disposal. The beaches at Mexico Beach Florida are beautiful, pristine, glistening, powdered sugar fine with calm blue water. The sunsets are spectacular with a different one every evening. Waterside Village is a Quaint Village setting with a mix of 19 Old Florida Style cottages and 51 condos nestled along the canal in Mexico Beach Florida. Mexico Beach Florida located East of Panama City Florida along the coast of The Gulf of Mexico with no traffic lights, no high rise condos or hotels and stress free living. What a great looking home, and the price seems right. Nice photo, and best wishes selling it! 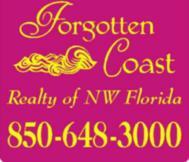 Post © 2019 Carol Erwin, Assisting Buyer's & Seller's (Forgotten Coast Realty of NW Florida). Design © 2019 ActiveRain, Inc. All rights reserved, Inc.